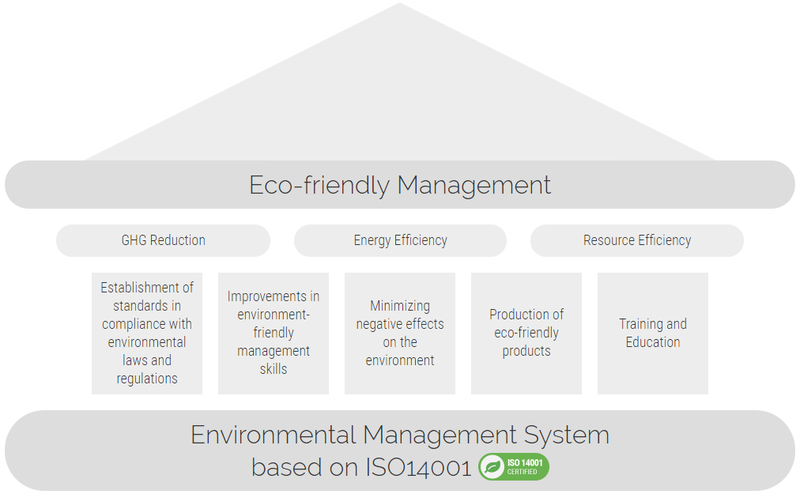 Humax environmental management systems is accredited to ISO 14001. We pursue eco-friendly management and declare that we take actions to improve the environment continuously to reduce negative impact on environment. 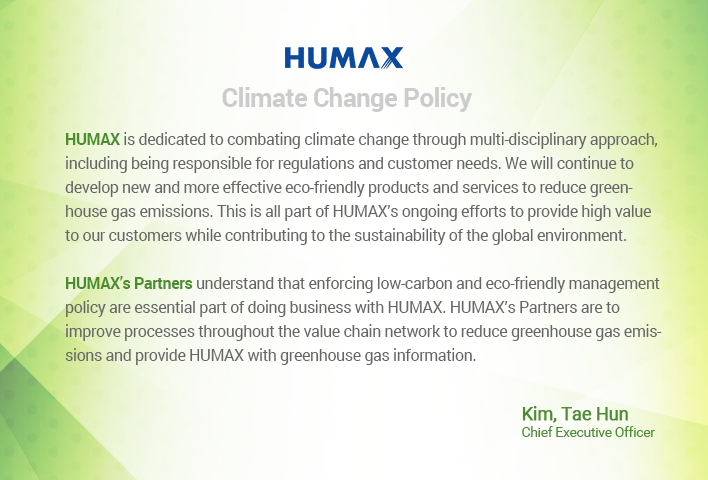 To combat climate change, HUMAX has divided its greenhouse gas (GHG) emission reduction strategy into two focus areas: operations and products. On the operations side, HUMAX has expanded the organizational boundaries for the GHG inventory, analyzed reduction activities, and set appropriate reduction targets. 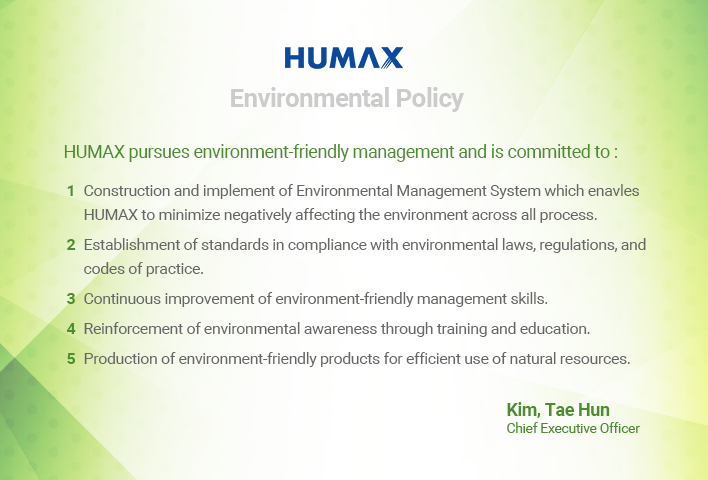 On the products side, HUMAX has conducted an accurate Life Cycle Assessment (LCA) of products and established a reduction strategy beginning with the high-emission raw materials/use stage. 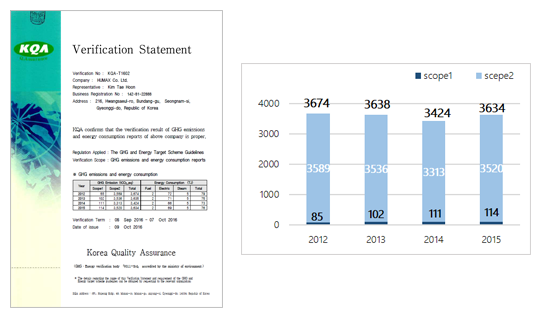 HUMAX has created its GHG inventory system at headquarters and obtained verification from a professional organization. 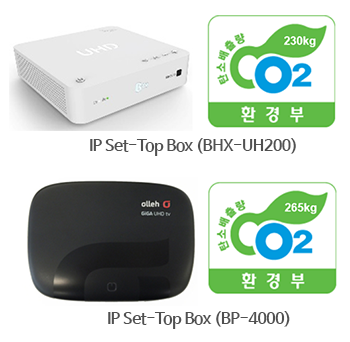 In addition, HUMAX received the first set-top box carbon footprint labeling in Korea and intends to continue its efforts to develop eco-friendly products. Indentify the sources of directly and indirectly accumulated greenhouse gas emissions. Then assess and verify the greenhouse gas emissions according to international standards. HUMAX has been disclosing information related to climate change and greenhouse gas emissions to the Carbon Disclosure Project (CDP) since 2013. HUMAX has set its reduction targets to 2050, based on science-based targets. Korean Carbon Footprint Labeling is a voluntary carbon footprint certification issued by Korea Environmental Industry & Technology Institute (KEITI), an affiliate of the Ministry of Environment. The labeling displays the effect on the environment (global warming) during a product’s life cycle. For more detailed information, go to KEITI’s website. (//www.epd.or.kr/en/carbon).